U.S. Rep. Bill Huizenga (R-Zeeland) is off to a rocky start with the new chairwoman of a powerful U.S. House committee. 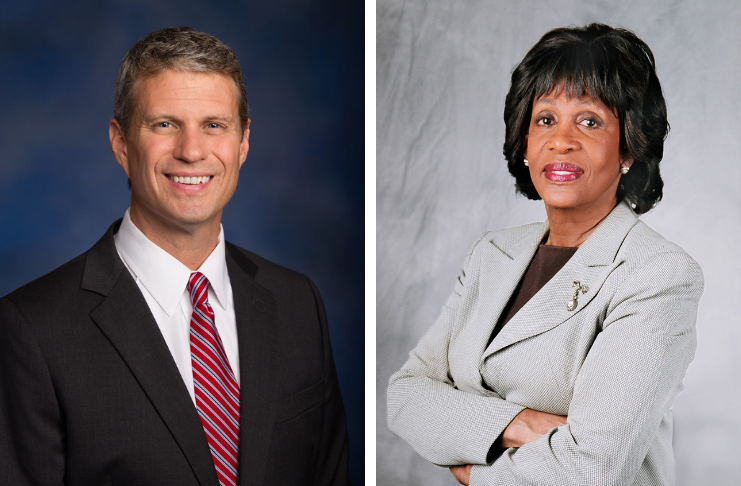 Huizenga, a fifth-term Republican who represents West Michigan’s 2nd District, had a tense exchange with U.S. House Financial Services Committee Chair Maxine Waters (D-Calif.) on Wednesday as the committee held a pro forma organizational meeting. Huizenga and other Republicans bristled at the new Democratic majority’s plans for setting official committee rules. Republicans argued that Democrats should formalize the process of notifying the minority in advance of issuing a subpoena to compel a witness to testify. Democrats insisted that they intend to give Republicans at least 48-hours notice, but want wiggle room to issue subpoenas on short notice if they think it’s warranted. Democrats are eager to use the subpoena power that comes with control over the U.S. House and they’ve been wary of perceived attempts to hinder their ability to investigate the Trump administration. The fight on the powerful financial services panel came after another protracted procedural brawl in which Republicans sought to speed up the time frame for posting the rules guiding the committee to its website. Huizenga insisted that the understood practice of notifying Republicans about subpoenas should be codified. “I will be honest, I’m not optimistic based on what we just did with trying to publish the stinking rules, as to whether we’re actually going to make any progress on this, but we should be setting the standard and rising above the fray of partisanship,” he said. His use of the phrase “stinking rules” didn’t go over well with Waters. “Let me just say to the gentleman of Michigan, these rules are not stinking rules. They’re not unfair rules,” she said. Democrats, Waters said, should continue to operate under the same subpoena rules that Republicans had. “We’ll continue to operate in the way that we’ve operated in the past. I thank you very much and please do not refer to the rules that we’ve worked so hard on as stinking rules,” she said. Huizenga had been misunderstood, he said. “I chose to use that word as a descriptor rather than a possibly more potentially offensive [word] to describe not the rules, but the process of not being able to post those rules,” he said. Waters, who has become a liberal icon after sparring publicly with Trump, took the helm this month of the committee with broad jurisdiction over the banking industry, insurance, international finance, housing and monetary policy. As a constituent of the district Huizenga represents, his call for “rising above the fray of partisanship” is entirely outside the realm of possibility. He’s nothing but a partisan hack for whomever in the party holds the power. For him to claim otherwise, is simply ludicrous. So, rules that were perfectly reasonable when his party was in the majority are now unfair when he’s in the minority. Whoda thunk?